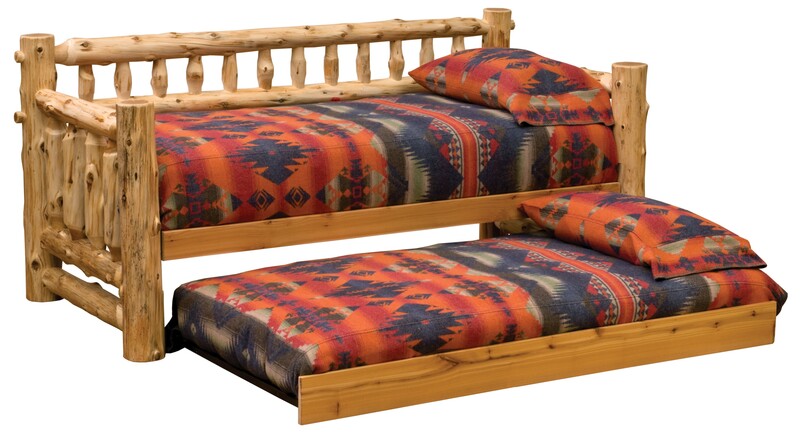 This rustic log day bed features full log side rails for sturdy construction and is made from hand peeled white cedar logs to accentuate its natural rugged beauty. 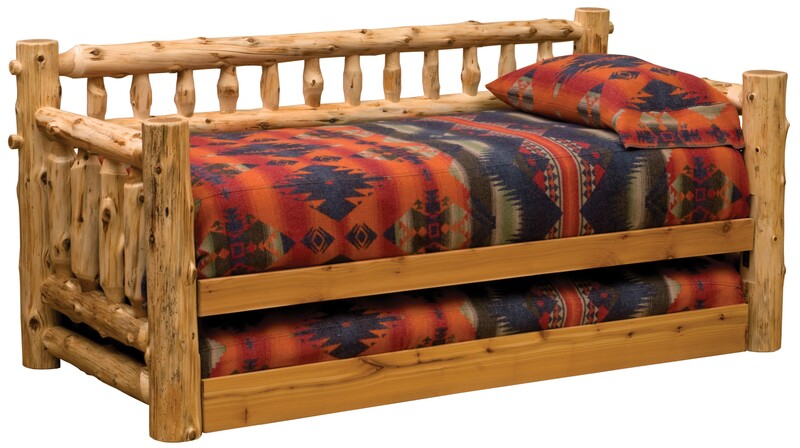 This rustic log day bed features full log side rails for sturdy construction and is made from hand peeled white cedar logs to accentuate its natural rugged beauty. 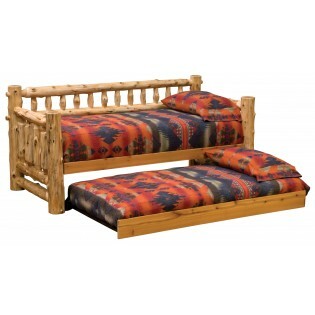 Each bed is individually hand crafted and is clear coated with a catalyzed lacquer finish for extra durability.